BLOGGING? WHAT ACTUALLY IS IT? FAQ ANSWERED! 2.1 a) On-Page SEO is to be done when you are writing a post. 4 3) How to check how many visitors your site is getting? 5 4) How to send automatic emails for free without MailChimp or Aweber! Recently I wrote an article in which I have answered some questions. But some are still left so in this post I am going to do the same. Also, I am going to answer more questions about blogging other than those which were mentioned. If you didn’t read the Part-1, then please read it for better understanding. In this post, I am going to answer about doing SEO and not what is SEO. As a blogger, I noticed and searched for the question ‘HOW TO DO SEO.” Cause every blogger says SEO will bring your site to google’s search results. But did anyone mention that how can you do SEO? Read Also : MilesWeb Hosting Review- Best Hosting at Cheap Prices! 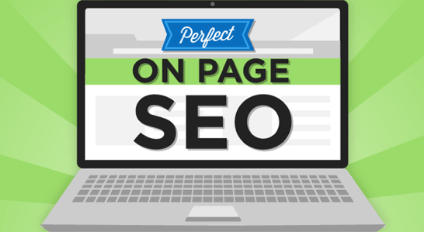 a) On-Page SEO is to be done when you are writing a post. Now you might think that “How to do that page SEO?” It’s simple! First, think about what you’re going to write. Suppose you are writing about “How to check blood pressure at home without any equipment.” Just reflect on the most common word that you are going to repeat every time, which is “Blood Pressure” Now login to Google Adwords Keyword Planner and search for blood pressure the more the word is searched, the faster you will rank on search results. The best way to check your SEO is getting Yoast SEO plugin. Now after you have a keyword which you found, i.e., Blood Pressure. Add that keyword to your post and images’ alternative text, also, add this keyword to your page title and URL of the post. Doing this is called On-Page SEO, which is done to the article. So after you do this. On searching for ‘Blood Pressure’/keyword, you may find your post on the google’s search results. I found mine on the second page, to bring it on the first page you need to be consistent and write new content and unique of course. Blogging is fun! Isn’t it? Now I have my site about tech, but I am writing here or anywhere else. You know why? So, that I can get backlinks to my site and also so that people visit my site (Actually that’s not the main reason for writing here on shoutmeloud.com) As I comment on other websites those comments give a link to my site, which is backlink. Backlinks are those links that you create on other sites which link to yours. Suppose you comment down below in this post, you are doing nothing but creating a backlink. Now, why is that IMPORTANT? Cause google will see that many sites have a link to this site which means this site is familiar to many of the websites on the net. And then you may improve your ranking in search results. Other than backlinks you can guest post on famous sites like shoutmeloud.com but make sure that only post what is relevant to the site. On shoutmeload.com, you can’t post about tech for that you need to go in shoutmetech.com and post there. Now after doing that all stuff you will notice 100% change in your page load speed. In short CDN is a Middle Man, who opens’ various branches of your store around the world so that people can access your product faster. Where your store is your website. You can refer this post for details. 3) How to check how many visitors your site is getting? What is the use of opening a site without knowing whether people are reading your posts or not? I, in the beginning, used Google Analytics then suddenly it stopped showing visitors, and I thought that my all articles were getting 0 visitors which was disappointing. Then I realised that I can check my site stats by using Jetpack plugin which I installed long back. And I saw that my visitors had increased. So, slowly I realized that other than these two there are many sites to show the site stats if you log in to them. But now I prefer Wordpress for site stats and for real-time users I use Google Analytics. You can also use as many as you want so there is no such problem with it. 4) How to send automatic emails for free without MailChimp or Aweber! We all must have financial problems and other stuff because of which we can’t get access to the paid stuff, and that is not the problem at all there are many alternatives to each of them and also the free options are as efficient as others. I use the WordPress plugin MailPoet, which is simple to use and also is efficient with free of cost service. It has many templates and fully customizable mailing options with the automatic feature which is awesome! You can search for tutorials on youtube which are easier to understand than reading the posts. I hope that I have cleared most of the questions that I was supposed to and also the topic was clear. If you think you need private guidance and need help from me, then I will be obliged to help you personally just leave a message to me. Loved reading your article, it is well written with simple examples. And thanks for sharing the name of the plugins to improve the speed of our blogs. I really needed those. Thanks for sharing good blog post about SEO types specially on page and off page seo, I tried all those steps and its working to improve my blog ranking even i shared this post to my related friends…. I always look your website for new update. Go ahead….